Castle Litomyšl, a UNESCO World Heritage, was built in 1567–1581. Two successive palace theatres operated in the 18th century before the still existing one was inaugurated in 1798. Members of the noble Waldstein–Wartenberg family and their friend performed popular high comedies here for the next 50 years, for their own pleasure as well as for the local audience. 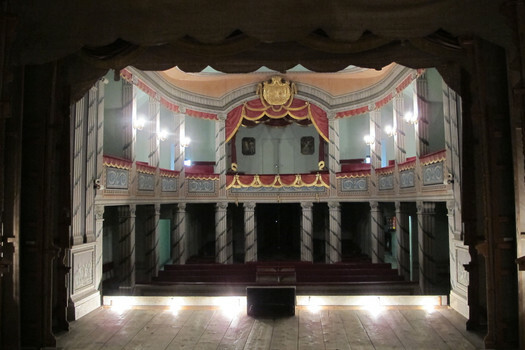 The theatre has been preserved entirely, including the original stage machinery and lighting equipment. 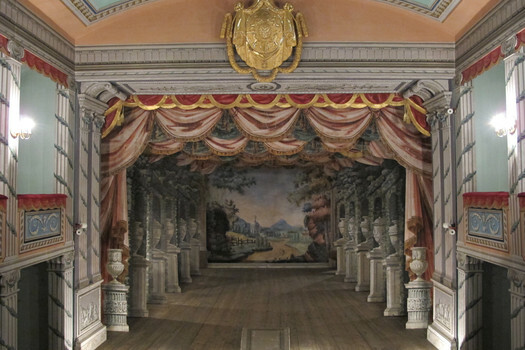 The unique collection of stage decorations was created by Josef Platzer (1751–1806), the imperial court painter who worked for theatres in Vienna and Prague. The Palace Theatre is accessible as a part of every guided tour of the Litomyšl Castle and its rooms.